Interlock Privileges Require Installation of a "Blow and Go" alcohol monitoring system, as well as an additional 45 day wait. 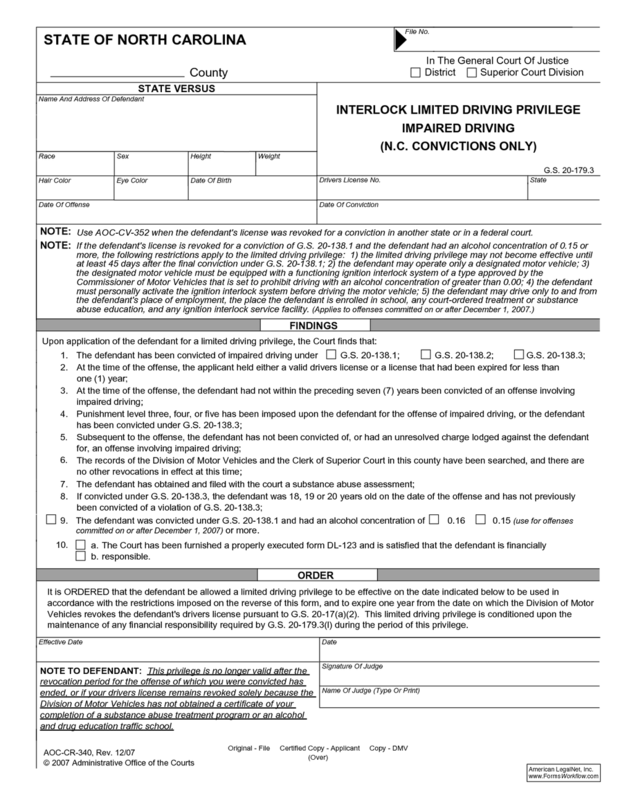 The most common scenario for an Interlock driving privilege is when an individual is convicted of DWI at a blood alcohol content of .15 or higher. This complication causes a longer wait for the privilege as well as significant additional funding for the interlock system install and maintenance. As part of the punishment, if convicted, you'll have to wait 45 days after sentencing to get a judge to sign the interlock driving privilege. There are also install and monthly maintenance fees involved in keeping these systems going. You will be required to use the interlock for one year of credit with DMV before restoring your full license. If you've been convicted of an aggravated level of DWI, you may need an interlock privilege by statute to restore your driving privileges once the initial revocation period is up. Contact your Asheville DWI lawyer for more details on DWI driving privileges.